Located in the Aegean Sea, the Greek island of Hydra is part of the Saronic Islands. Hydra was built in the shape of an amphitheater, on a slope overlooking the Argosaronic gulf. If you have ever visited Hydra or even just seen pictures of this beautiful island, it comes as no surprise that many refer to it as one of the most romantic destinations in all of Greece. 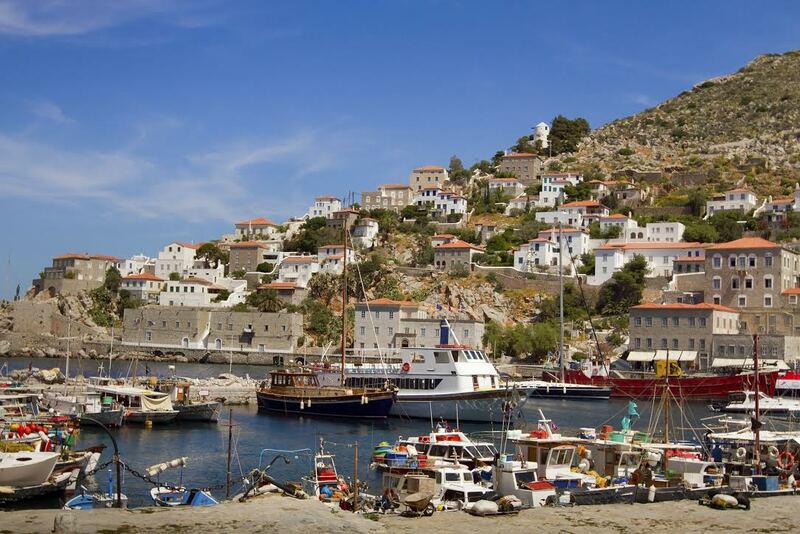 Hydra is filled with lavish stone mansions, charming cobblestone streets, secluded squares, and so much more. Perhaps best of all, there are no cars…no scooters…no motor vehicles on the entire island. All travel is done by foot, by donkey, or by water taxi. Does it sound almost too good to be true? Well, it isn’t. And you can find yourself a part of this fairytale if you book an Action-Packed Greek Vacation with AESU, the most trusted name in travel. Our Greek Island Odyssey includes seven nights in superior tourist class hotels, six three-course specialty dinners, a Private Tour Director for the entire trip, scheduled and guided sightseeing, and transportation between the various islands. There is so much to do and see in Hydra, but you may find yourself trapped in a trance-like state, gazing at the picturesque view, the beautiful architecture, or the… Oh man, snap out of it! There are things to do. Hydra is filled with numerous museums, from the Historical Archive-Museum of Hydra, which showcases rare archive material related to the history, tradition and culture of the island, to the Ecclesiastical and Byzantine Museum, which houses vestments, holy vessels, elaborately decorated gospel and icons, and other religious artifacts. Other museums include: the National Historical Museum and the Museum of Post-Byzantine Art and History of Hydra. What is an island without beautiful beaches? We wouldn’t know. Hydra is filled with many beaches, from Mandráki, a beautiful beach with water sport facilities, to Bísti, where the Hydra Diving Centre organizes water sport activities. And if you aren’t into water sports, perhaps you would prefer Spiliá, ideal for sun bathing. Or maybe you want a more secluded adventure. In that case, Ayios Nikolaos is the beach for you, accessible only by water taxi. Of course, you cannot forget Limnióniza, which many consider the most beautiful beach on the entire island. But be prepared for a bit of a workout. You will need to hike for two hours to reach Limnióniza. No cars…remember. Book an Action-Packed Greek Vacation Today! Book your tour before December 5th and save up to $300! 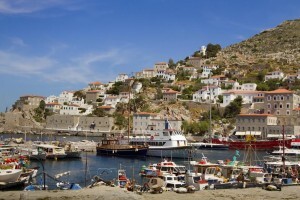 Want help booking an Action-Packed Greek Vacation and visit Hydra? Please contact AESU by calling 800-638-7640 or fill out the contact form found on our website. And don’t forget to check out all of our great Travel Tips, especially the Travel Tips for Europe, before you head overseas. This entry was posted on Wednesday, November 26th, 2014	at 3:58 pm	. You can follow any responses to this entry through the RSS 2.0	feed. Both comments and pings are currently closed.